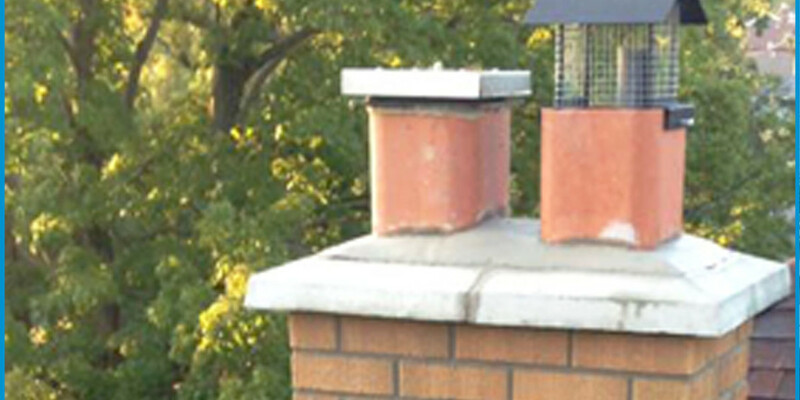 Brick deterioration can be observed commonly on homes and buildings throughout the GTA. 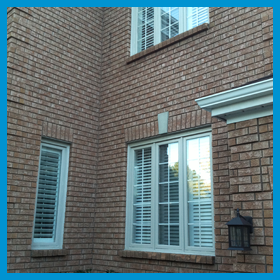 On many homes; damaged bricks can often be observed toward the bottoms of walls and masonry porches, brick support columns, etc. ; where often exposed to snow and salt. In older neighbourhoods, where housing may be over 100 years old; it is common to find the original brick glazing has worn off, leaving original bricks vulnerable to water penetration, and resulting interior damage. 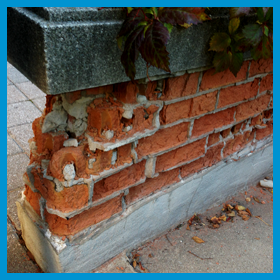 Evidence of crumbling bricks, and or open mortar joints, are a sign that restorative masonry repairs are required. Tuck-pointing such areas helps to prevent the continued,and rapid deterioration of such surfaces. The process involves grinding out, and replacing individually damaged bricks, and replacing with new. Associated brick joints are then re-packed with fresh mortar. This work also applies to block foundations and retaining walls. 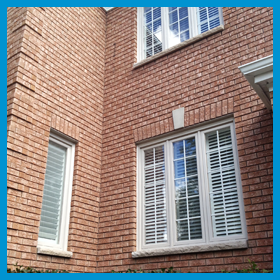 Care is taken to closely match replacement brick, and to tint mortar colour to achieve a more seamless appearance. 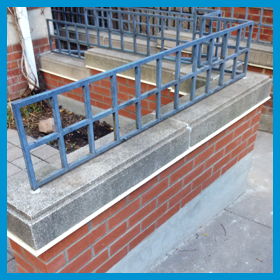 The replacement of brick or stone sills beneath windows, or on top of parapet walls, and retaining walls is another common associated repair requirement. In the case of brick or block construction commercial buildings; facility managers and building owners have come to rely on AVENUE ROAD MASONRY to create entrance modifications ( such as when installing replacement loading doors or access docks). Commercial facade repairs and ,or re-facing a building; can contribute to maintaining or increasing a property’s value. 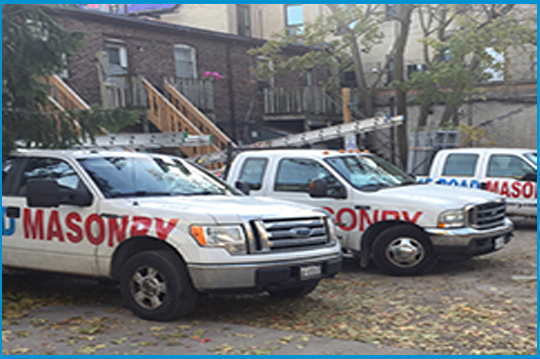 We take the utmost care to provide high quality workmanship and a safe working environment. View our testimonials to learn what are highly satisfied residential and commercial clients have to say. 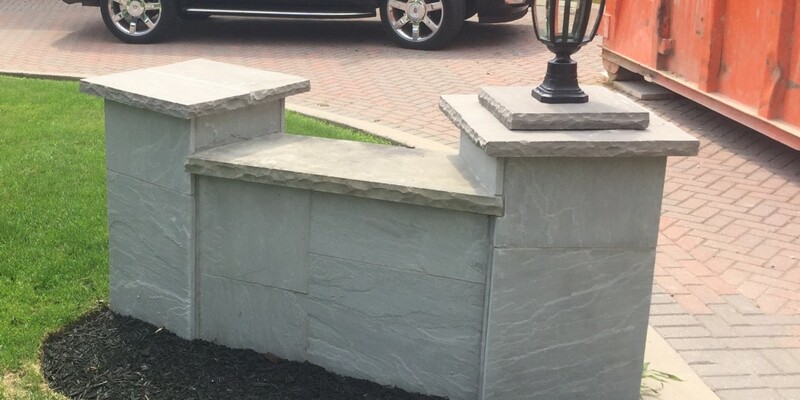 Contact AVENUE ROAD MASONRY for a comprehensive estimate on these, and other masonry repair and masonry restoration solutions.